Let's get one thing straight: Donald Trump&apos;s nomination of Brett Kavanaugh to replace Justice Anthony Kennedy on the Supreme Court is an attack on our values. Already this year, the conservative majority on the Supreme Court sanctioned attacks on workers' rights, further threatened a woman's right to choose, upheld the discriminatory Muslim ban, and supported voter suppression efforts in Ohio -- and that was before Justice Kennedy stepped down. 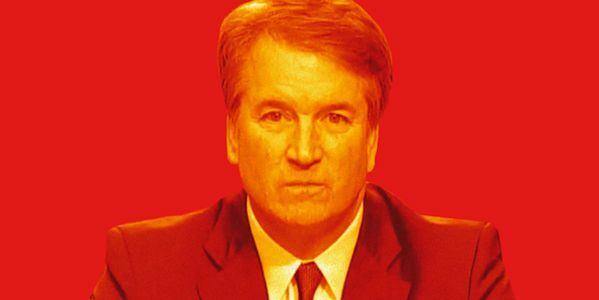 So you better believe that with Brett Kavanaugh on the bench, Roe v. Wade, affordable health care, labor unions, and civil rights will all be on the chopping block. Flipping seats in the Senate is the best way to keep Trump from appointing more far-right conservatives to the Supreme Court. There's never been a more important time to show you stand with Democrats. Add your name to help elect Democrats to the Senate who can protect our fundamental rights. Perhaps the most detrimental and enduring part of Trump's legacy will be the conservative extremists he appoints to our federal courts. They will be around long after Trump's presidency ends -- and they have the potential to shape our country's future for generations to come. This is as real as it gets. Unless we come together right now to help Democrats take back seats in the Senate, Trump will continue stacking our courts with far-right conservatives. If you're in this fight, today is a critical time to show it. Add your name to help Democrats regain a majority in Congress. The only way it will be possible is if we work together -- starting right now.